Description: The analysis of stake of service information is conducted in a network package, passing through the stack of protocols of TCP/IP, and the estimation of influencing of size of package and correlation of official information and actual load is executed on a computer network performance. The possible methods of increase of performance of computer networks and problem of their application are analysed at the use of wireless technologies of networks. Tarasiuk, O.M., Gorbenko, A.V. and Gazal, M.S. 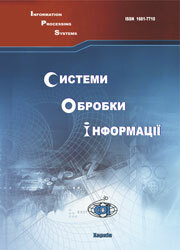 (2009), “Analiz izbytochnosti protokolov steka TCP/IP”, Information Processing Systems, Vol. 1(75), pp. 130-133.